Emerald Waterways marked its fifth anniversary this year with a list of impressive feats and several more are lined up for 2019. The Australian river cruise brand (part of Scenic Luxury Cruises & Tours) debuted its collection of European river cruises in 2013. Their original Star-Ships, Emerald Sun and Emerald Sky, led the fleet initially. But five years hence, the line’s fleet of Star Ships now numbers eight. In five short years, Emerald has garnered award after award for overall value and ship design. It’s distinguished itself by attracting a younger demographic interested in a more adventurous cruising style. The line has also amassed stellar guest satisfaction ratings on its top five itineraries on the Rhine, Main, Danube and Rhône. Emerald’s expanded list of destinations now includes Asia, Egypt, Portugal and the coast of Croatia. “We’re very proud of how far Emerald Waterways has come in just in just five short years. The recognition we’ve received in the industry paired with excellent feedback from guests continues to fuel our steady but thoughtful growth,” said the line’s Vice President for Brand Management for the US, Lisa Norton. “We look forward to further expanding and honing our offerings as we head into our sixth year of service." In 2019, Emerald will debut a new Star-Ship, Emerald Harmony. 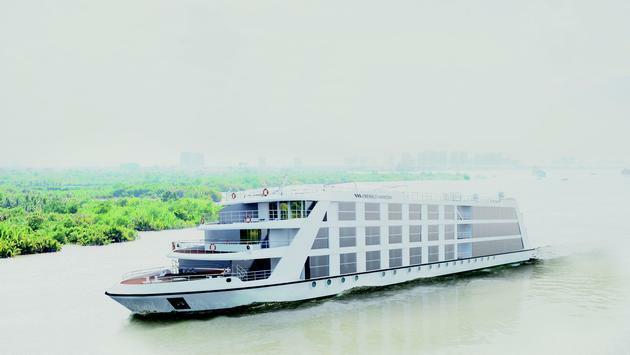 The 84-passenger ship will sail the storied Mekong River through Vietnam and Cambodia. Emerald Harmony’s intimate size and innovative design give her a distinct advantage over the competition. 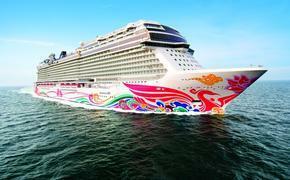 The ship can access the center of Ho Chi Minh City, giving passengers a head start in exploring the vibrant capital. Most other river vessels need to dock outside the city and transport passengers in by motor coach. Also new in 2019 for Emerald Waterways is a yacht cruise along Croatia’s Dalmatian Coast. Guests will journey aboard the luxurious MV Adriatic Princess II, privately-charted by the line. The yacht’s 18 cabins accommodate a total of 36 guests per sailing. Suites feature high-quality linens, flat panel TVs, windows or portholes and Wi-Fi. The experience is akin to a floating boutique hotel that travels to some of the most beautiful and historic scenery in Europe. The itinerary calls on Hvar Island, Krka National Park, Split and Dubrovnik, among other destinations. In 2019, Emerald Waterways will also offer cruise and land tours of the Nile river in Egypt and Jordan. Two new itineraries travel down the Nile into the heart of Egypt, with visits to Petra and Amman, Jordan; Cairo and the Great Pyramids of Giza, the Egyptian Museum and more.